It is the time of year when we want to give little gifts to all of the people who touch our lives, friends, neighbors, teachers, etc. I always like to try to make something, sometimes a little homemade Christmas treat, sometimes a small handmade gift. 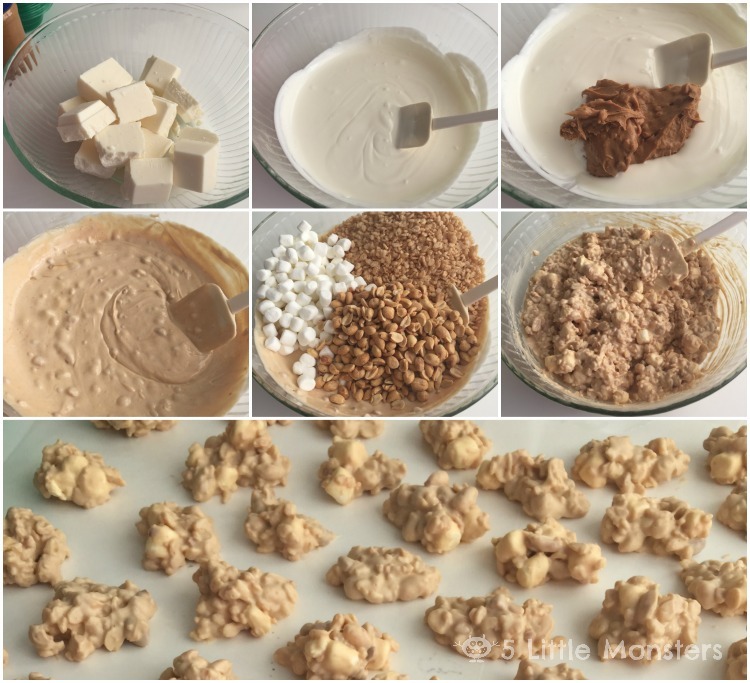 One of my favorite treats to make is a candy that my family often makes at Christmas time called Almond Bark Candy, and if I am going the non edible route Christmas ornaments are some of my favorite gifts to give because they are small and usually pretty easy to make multiples of. 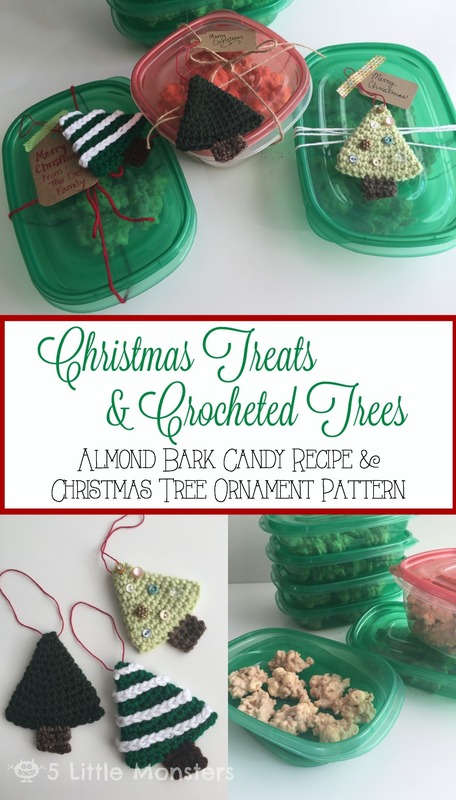 For today's post I am going to be sharing a little gift idea that incorporates both of those, a Rubbermaid TakeAlongs container filled with Almond Bark Candy with a little crocheted Christmas Tree Ornament on the top. That way they get the best of both worlds, something yummy to eat and enjoy right away and something that will last a little longer. I found the Rubbermaid TakeAlongs at Walmart, they even had some holiday ones that were red and green. I used the rectangle size (the green ones in the picture) and the deep squares (clear with the red lids). The rectangles were the perfect size to fit a few little candies, the deep squares held more because I piled them all on top of each other instead of just one nice, neat little layer so both sizes worked well, depending on who you are giving them too and how many you wanted to fit in each container. 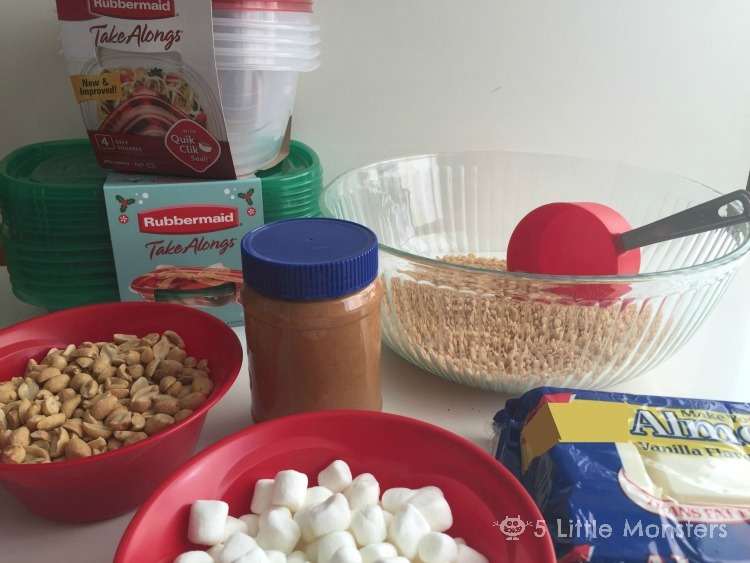 Almond Bark Candy is made with vanilla almond bark (I know you would never guess that from the title), peanut butter, peanuts, marshmallows and crispy rice cereal. 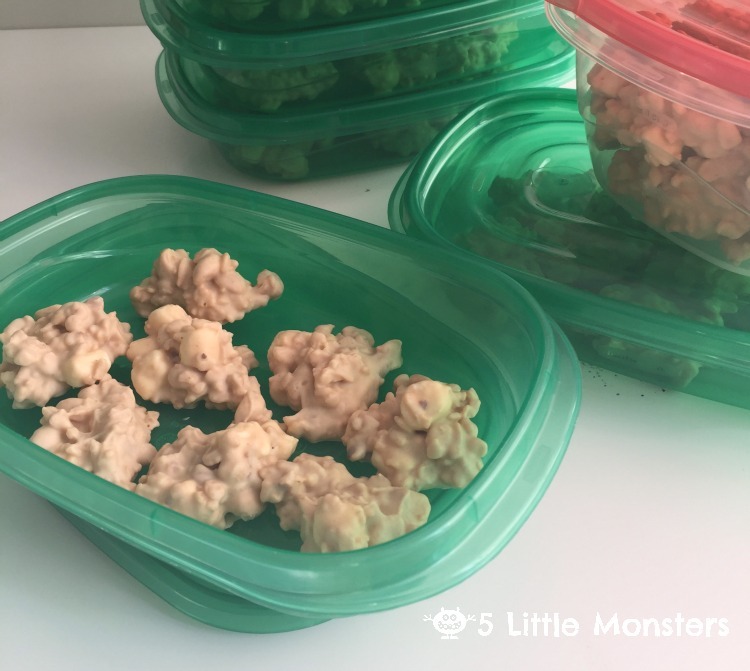 You melt the almond bark, mix it all together and drop spoonfuls out onto wax paper. Once they harden they are ready to eat or package up. My family has made this treat at Christmas time for as long as I can remember and I have never really seen it anywhere else. For that matter, I have never even made it any other time besides Christmas which is kind of funny since there is really nothing about the recipe that makes it super christmasy. It is just tradition I guess, in my mind it will always be a Christmas candy. 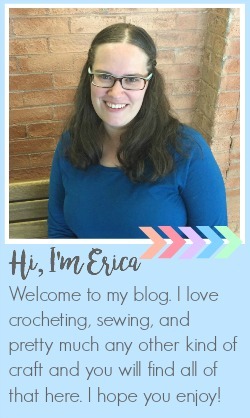 Whenever I make it and bring it somewhere I always get asked how to make it so I thought I would share it here. For the ornament part I made a simple little Christmas tree ornament that can be decorated or left like it is. 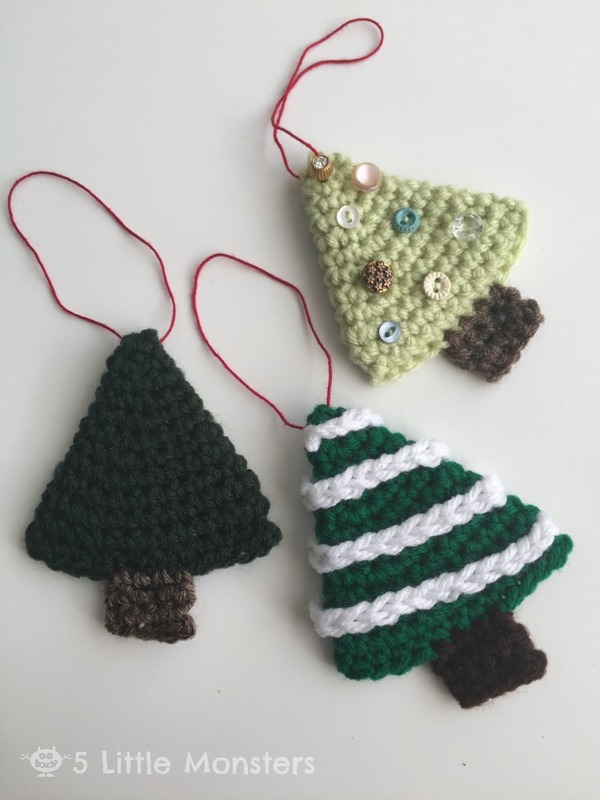 I left one of mine plain, wrapped a length of crocheted chain around one for a garland, and on the last one that I made I added several tiny buttons to the front to look like ornaments. To finish off the gifts I just wrapped some yarn or just around the containers and added a tag and the ornament, either tied on or taped on with washi tape. 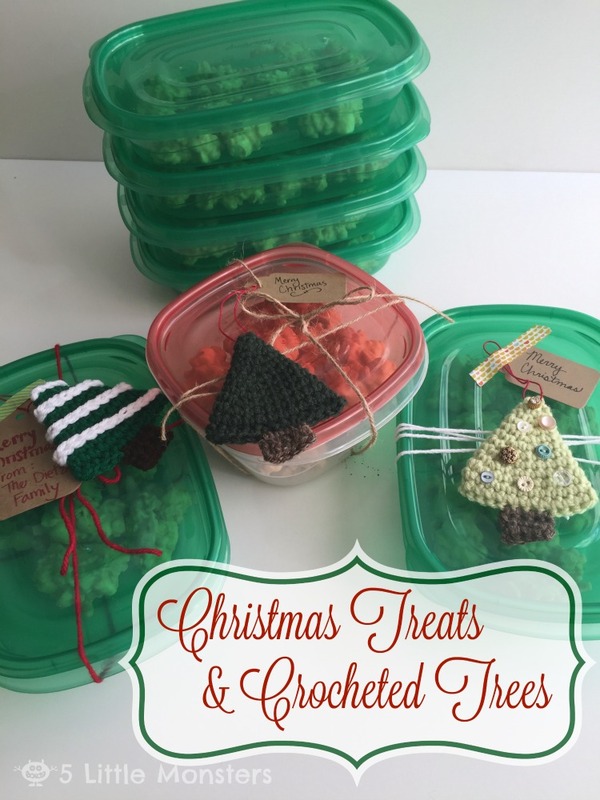 So without further ado, here is how you can make your own Christmas treats and crocheted trees to give as gifts this Christmas. In a large, microwave safe bowl melt the almond bark. I started with 1 minute and then did 30 second intervals, checking and stirring after each until it was completely melted. Fold in the peanut butter. Stir in all of the remaining ingredients until everything is evenly distributed. Drop by spoonfuls on wax paper to harden. Then just pack them into your containers and they are ready to give. You can leave your tree plain or decorate it any way you want. For the tree with the garland I just crocheted a long chain, long enough to wrap around the tree a few times, wrapped it around and sewed it on to secure it. For the button tree I picked out a variety of small buttons, I used some vintage buttons given to me by my husband's grandmas, using sewing thread and a sewing needle attach them to the front of your tree. 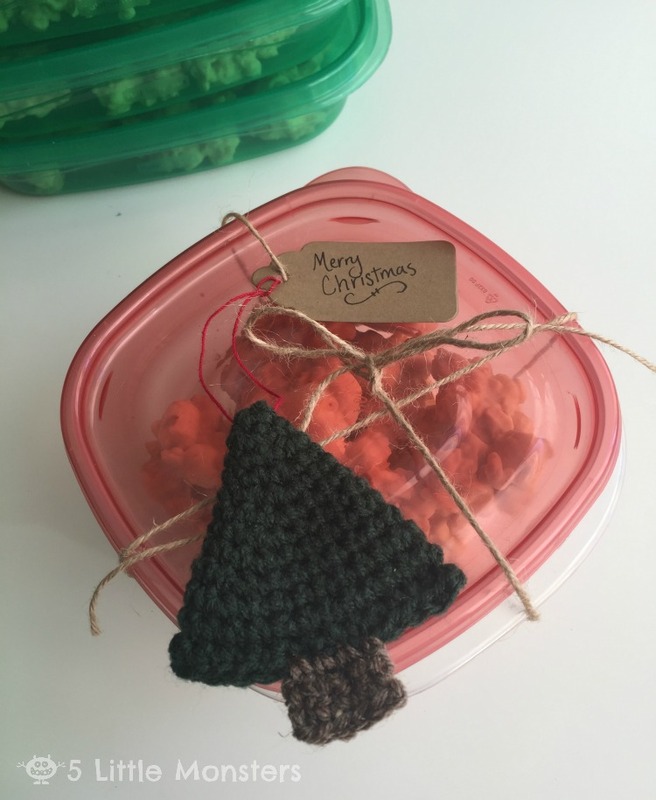 What are your favorite holiday treats or gift giving ideas? 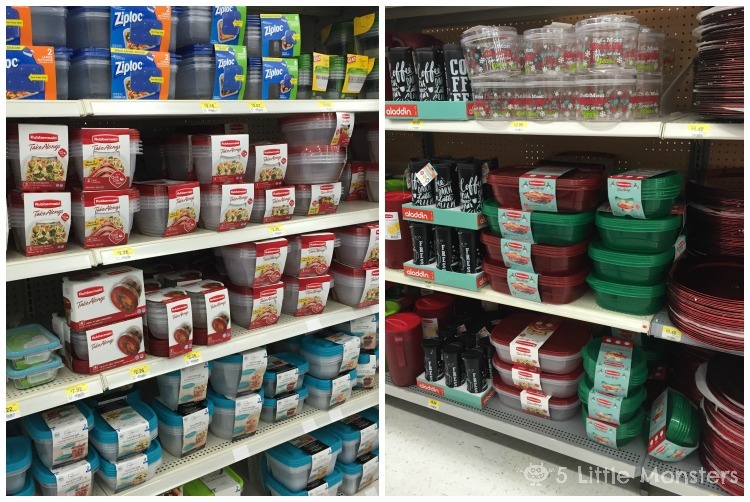 For more great ideas for how to use Rubbermaid TakeAlongs for the holidays click here. And when you buy 2 packages of Rubbermaid TakeAlongs at Walmart you can get a $1 rebate with this special offer from Ibotta. Get the bestgreen and red cheese covered Christmas tree cakes for your sweet children. Candies are really getting more popular among kids; we have also found several kinds of candies available in the market especially design for kids. Here also we can get some beneficial instructions on how to prepare candies for Christmas; hope we can get the best taste of candies from here. I would like to follow the instructions and ingredients present here to prepare some good candies.